NYT article featured The Scientists! “Not that these types of shows always stick to breezy topics. 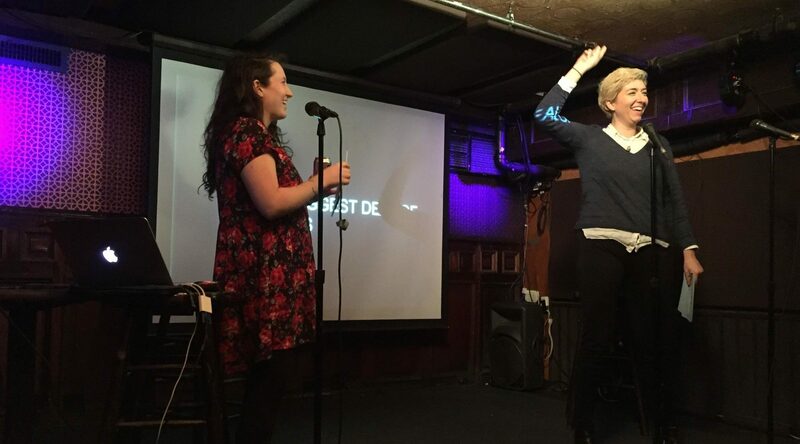 “The Scientists,” the podcast and live show hosted by the comedians Blythe Roberson and Madelyn Freed, recently did a show on cancer and the search for cures. Although the program included a live sketch featuring a hydrorobot that punched the disease out of people, they admitted the topic was tougher than past themes like artificial intelligence or insects.